A shirt for your “no school ‘till Monday” state-of-mind. Made with a mechanical stretch weave, the little boys sleeve button down is made to move with you. 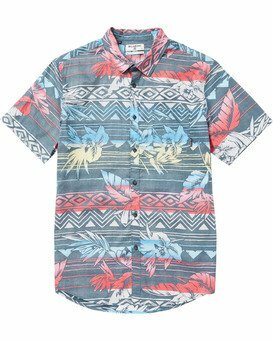 The modern aloha shirt is finished with a chest pocket with a flag label at the seam.